Scotland is a nation with music deeply embedded in the very fabric of its culture. It is no surprise then, that Scotland’s contemporary music scene is thriving. The American-Scottish Foundation has a long history of working with many emerging artists from Scotland. In recent years ASF developed the “Big Apple Award” with Creative Scotland and Nordoff Robbins, which brought “Song of Return” to New York. Music is part of our Bursary Program, and a huge part of our cultural program at Bryant Park during Scotland Week. 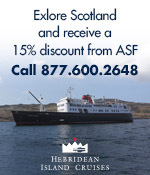 The ASF is always looking for new Scottish artists and bands to support and enjoy. 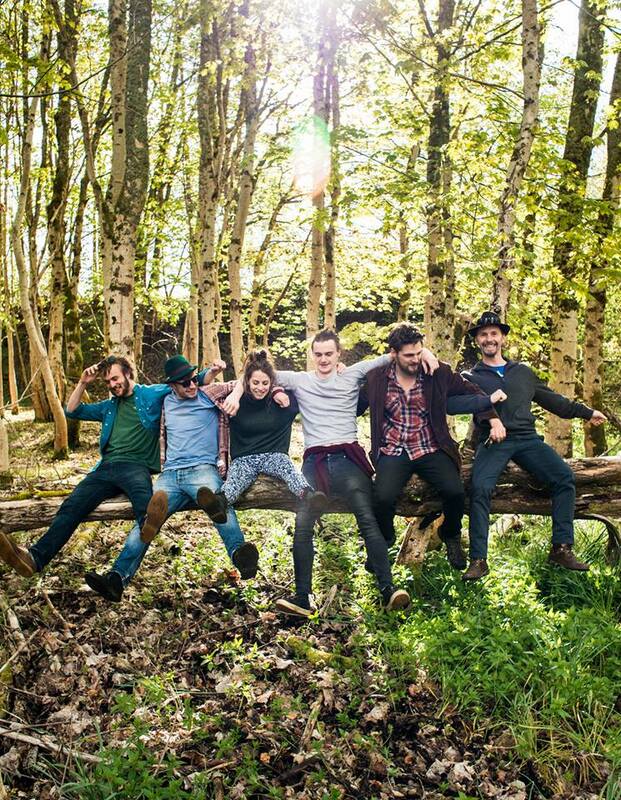 New acts are constantly surfacing, often paying tribute to their homeland’s musical history by fusing traditional celtic sounds or lyrics into their music. Jamie McGeechan, known as Little Fire, is one such artist. 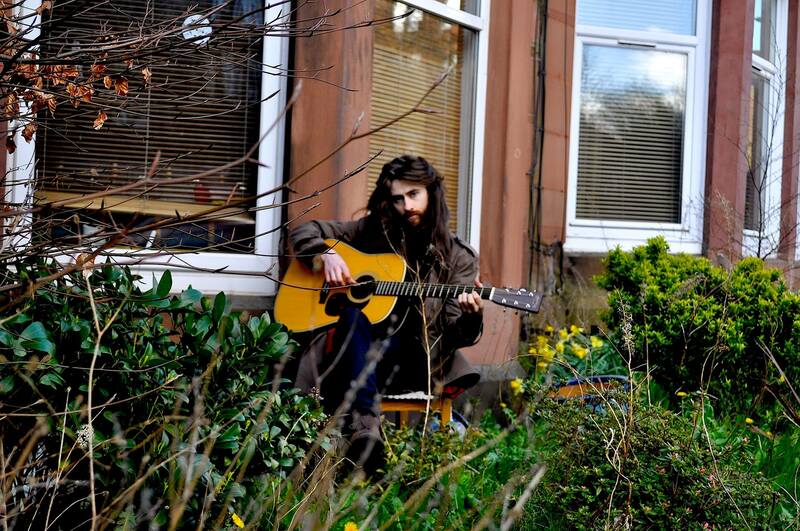 A great friend to the ASF, Little Fire is a singer-songwriter from Ayrshire, Scotland. In a tribute to the forefather of Scottish lyric, Robert Burns, Little Fire recorded an EP of Burns songs entitled ‘Roots.’ He was the first artist to ever record Burns songs live inside the Burns Cottage in Alloway. The ASF invited him to perform at the 20th Annual Burns Night Gala this past January. He has now agreed to help us in keeping our friends and readers informed on the new, the exciting, and the up-and-coming music of Scotland. 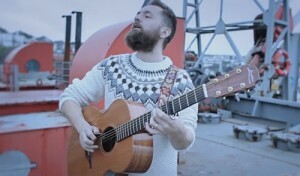 Little Fire, who is quite an established artist himself, having already been invited to support musicians such as Joan Armatrading, Damien Rice, The Lone Bellow and more. He released his debut album High Hopes in December 2014. And ASF intern Theresa Schilling, a New Yorker who attends St Andrews University in Scotland. Little Fire and Theresa came together to discuss other up-and-coming artists in Scotland. They have put together a list of personal recommendations to share with music fans living stateside. 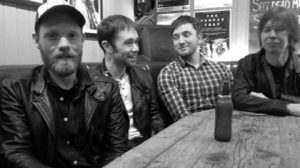 Little Fire: I feel like the Scottish music scene is an incredibly exciting and thriving beast. There are a huge range of brilliant artists, bands and musicians here. Right now there’s some really exciting things going on and it feels like a great place to be. I’ve a fairly eclectic music taste and feel most grateful to my parents for having such a varied record collection when I was younger. Scotland has such a rich musical heritage and it’s undeniably a hugely inspirational place itself. 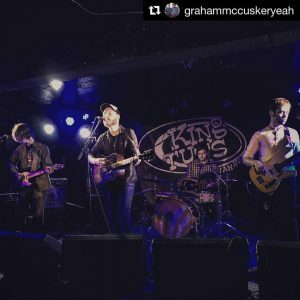 It’s a very creative place with a lot of different styles and genres thriving in what is a relatively small space and Scots are renowned as being amongst the most enthusiastic supporters of live music. To generalise somewhat we’re typically not shy about showing what we enjoy! Obviously a lot of the great music in modern history has come from America and the cultural crossover continues although I do think there’s a very particular Scottish identity that flavours the music; perhaps indeed it’s something in the water. Right now there’s a lot of buzz surrounding hip hop inspired music in Scotland although to use the term hip hop probably pigeonholes the creativity somewhat. 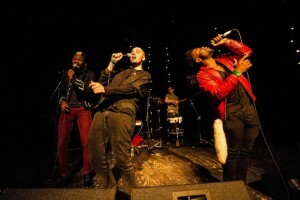 Edinburgh based Young Fathers who won the Mercury Music Prize in 2014 for their debut album, Dead, have been finding new fans all over for their striking and energetic performances and are quite simply unmissable live. 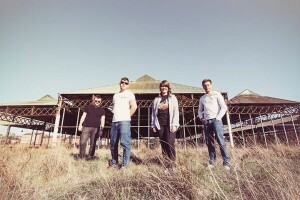 Glasgow based Hector Bizerk have been steadily climbing the steps to deserved stardom for their continued brilliance regularly featuring on the festival circuit around the country. Frontman Louie is a poetic genius and drummer Audrey Tait is a sensational and award winning drummer. New album The Waltz of Modern Psychiatry is critically acclaimed and earning the plaudits throughout the country. One of the most dynamic and socially conscious groups in Scotland as well as one of the hardest hitting. 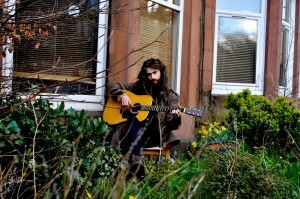 Robin Adams is a huge personal favourite of mine, the Glasgow based singer-songwriter is a true artist who is in my mind one of Scotland’s best kept secrets. His music is incredibly visual to me and he is a real craftsman at weaving these spellbinding, often dark but always soulful songs. He was recently the recipient of the Emerging Excellence Award and his newest album The Garden is to me nothing short of a masterpiece. Paul McGranaghan is one of the best songwriters I’ve ever heard or had the pleasure of seeing perform live. His debut album Carry the Torch is absolutely in my top albums of all time along with records from John Martyn, Bob Marley and Otis Redding. He’s made that kind of impression on me and the songs have such a brilliance and longevity about them. The album is based around a Hunter S Thompson concept with all the songs relating to characters and scenes from the great man’s books and stories. A stunningly good singer and gifted with a real verve for writing a killer hook such as Tricky Dicky or Sonny and Co., Paul has this ability to also write the most heart wrenchingly beautiful songs such as Goodbye Take Two or Carry the Torch. I’m eagerly awaiting his next album. 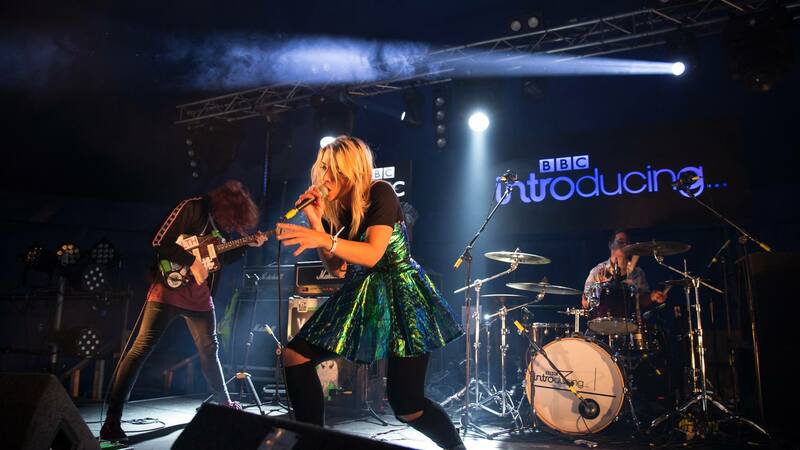 Vukovi from Ayrshire are an awesome live act and are due to blow up all over I reckon. Their new single Boy George has been receiving some regular play on BBC Radio 1 and I think they are going to go all the way. They are a brilliant band and in Janine Shilstone they have one of the feistiest and most charismatic singers I’ve seen. Their hook laden, rocking sound would get a party started anywhere and I think they’re going to go very far. 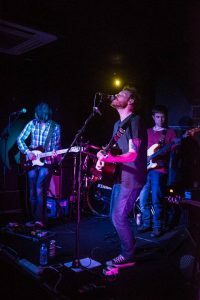 Roddy Hart and the Lonesome Fire hail from Glasgow and create music which is uplifting, rich in harmony and features brilliant song-writing from frontman Roddy Hart. Roddy has released three albums as a solo performer and with the band he truly has produced something quite magical on newest album Roddy Hart and the Lonesome Fire. 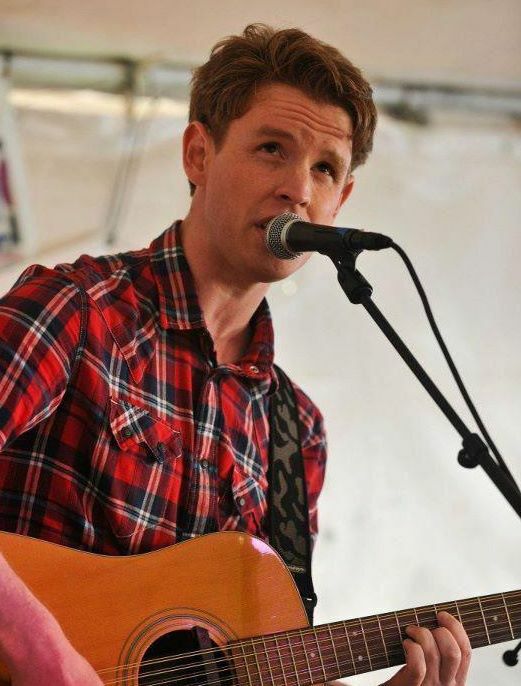 A collaborator of Kris Kristofferson, curator of the hugely popular Roaming Roots Revue at Celtic Connections as well as presenter on BBC Radio Scotland, Roddy Hart is very much a huge Scottish talent. Dosca are a brilliant trad /folk ensemble from Glasgow who I had the pleasure of seeing perform just recently. They are a superb live act and their performance at Celtic Connections at the start of the year was gripping from start to finish. 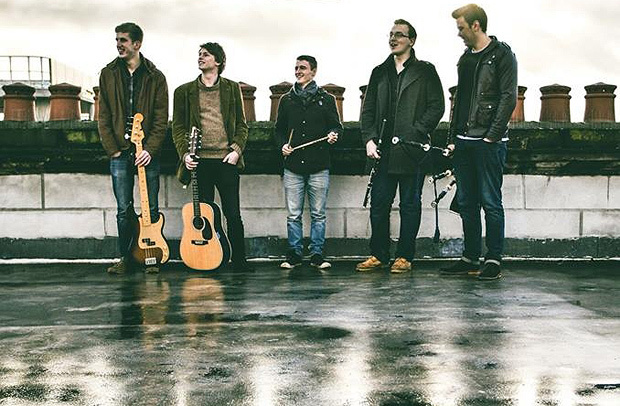 A highly talented group of musicians who met whilst studying at the Royal Conservatoire they both pay homage to Scottish traditional folk whilst revitalising and refreshing the genre with their passionate performances and intelligent compositions. Theresa Schilling: I have been a music lover since birth, and was raised on folk and Americana back in the States. Going to school in Scotland has really given me the chance to expand my knowledge and taste in music. I attend school not far from Glasgow and Edinburgh, which are both cities constantly brimming with live music. It’s an amazing opportunity to see bands that haven’t yet toured in America. Though the Scottish music I listen to varies in genre, I think that there is definitely a distinct Scottish sound. This sound, to me, is one that is filled with, and capable of inspiring, intense nostalgia, surely influenced by the country’s history of music, and the beautiful land itself. January. They are a bluegrass/folk band who play original songs, incredible Americana covers, and Scottish tunes. 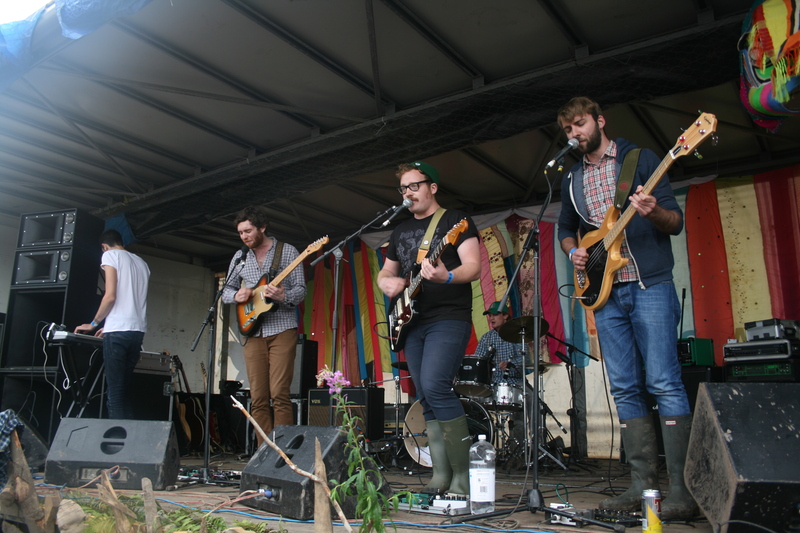 Wire & Wool is a six-piece band that got their start by jamming together at Dundee University. 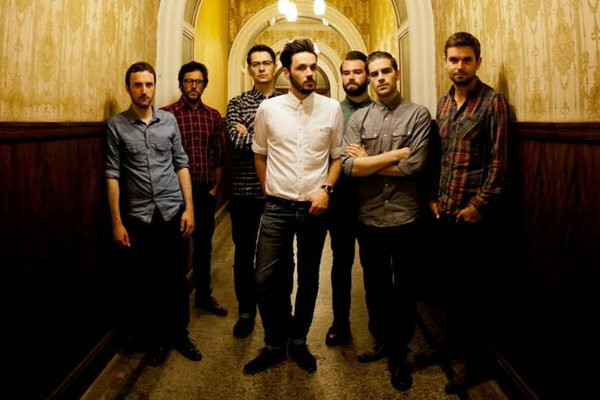 The band is composed of guitars, mandolin, fiddles and bass, and accompanied by soulful vocals from each of the bandmembers. 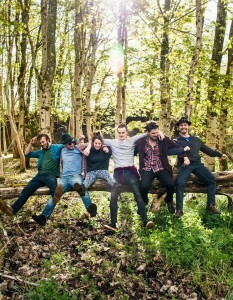 Their music is classic Americana bluegrass fused with traditional Celtic influence. An explosion of sound and talent. 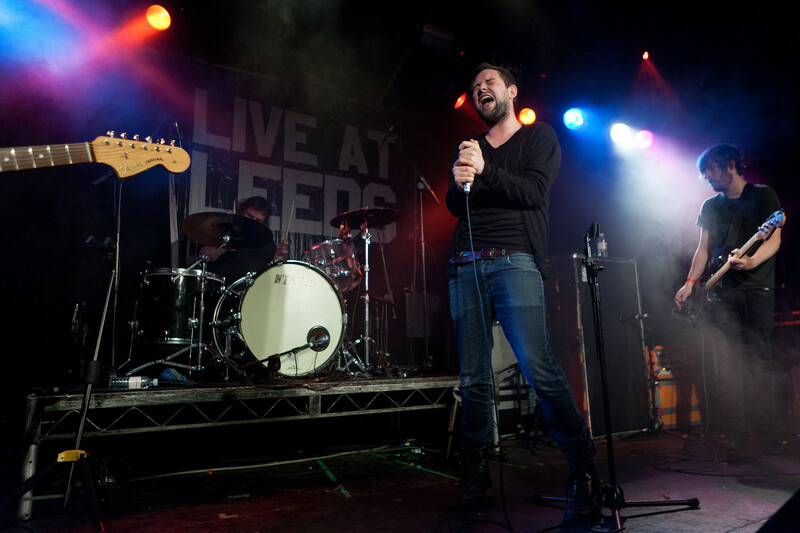 The Twilight Sad is a neo-post-punk indie band that uses a balance of synths and guitars in order to create a sweeping orchestral and immensely gloomy sound. The band’s frontman, James Graham, has a lovely and distinct voice, and not just because of his pronounced Scottish accent. Although The Twilight Sad has been around since 2003, their latest album “Nobody Wants to Be Here And Nobody Wants to Leave” is what has really put them on the map this past year. If you enjoy melancholy indie anthems, I would definitely recommend this band. Blue Rose Code is an acoustic singer-songwriter from Edinburgh. 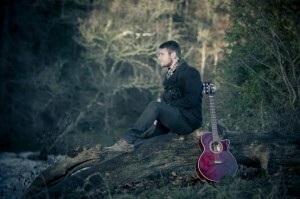 His folky guitar-picking sounds effortless paired with his soulful voice and lyrics. His is the warm, layered kind of folk music that washes over you with a cathartic power. His celtic roots shine through with a magical quality which pairs wonderfully with his Edinburgh accent. 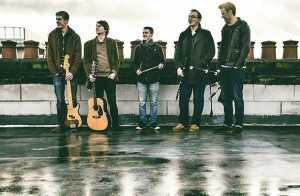 Blue Rose Code’s latest album, The Ballads Of Peckham Rye, was nominated for the Scottish Album Of The Year Awards in 2014. He is about to embark on a UK-wide tour. 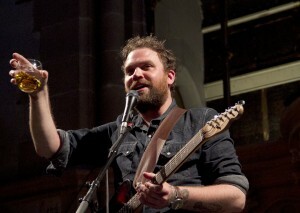 Owl John is the solo music project of Frightened Rabbit’s vocalist and guitarist, Scott Hutchison. (Frightened Rabbit is a fairly popular indie folk- rock band that formed in Selkirk.) 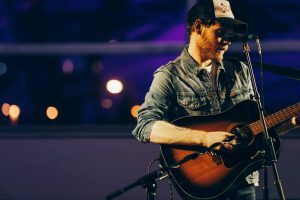 Hutchison is well-known for embracing his heavy Scottish brogue while he croons his honest, often heart-wrenching, lyrics. I fell in love with Hutchison’s somber music during my first semester in Scotland, and his solo project does not disappoint. 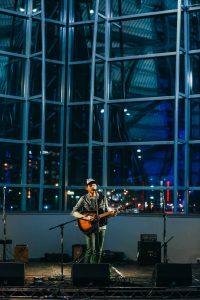 His folky guitar is quietly juxtaposed with his warm voice, occasionally spilling into a plucky riff and experimenting with some electronic influences. The entire Owl John album is wonderful, but “Los Angeles, Be Kind” is an especially poignant song in which he explores the emotions he experiences as a Scot who moved to America. Three Blind Wolves is a four piece, folk-tinged indie rock band with psychedelic and country influences. This may seem like a lot of different styles for just one band, but they truly are an amalgamation of genres. 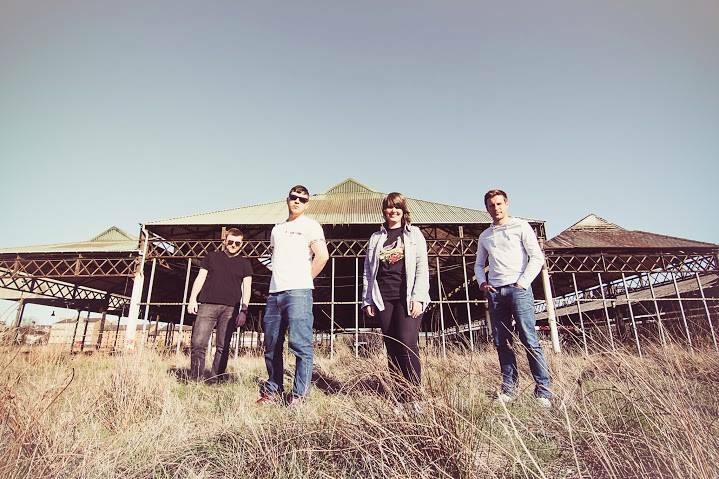 This powerful fusion of sound hails from Glasgow. Their bluesy mandolin-picking, as well as their wailing electric guitar, differentiates the group from a sea of indie-pop bands. They are easily one of the best new bands I have heard over the past few years, and I truly think they could be big. 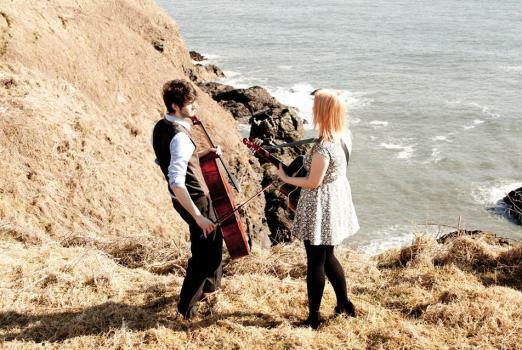 The Jellyman’s Daughter is a bluesy folk duo from Edinburgh. The duet features Emily Kelly on guitar and Graham Coe on Cello. Both artists sing, creating honey-smooth harmonies sure to send shivers down your spine. Their mournful sound is often likened to the American duo, The Civil Wars. However, the Jellyman’s Daughter has a fresh new take on folk music, and I cannot get enough of their self-titled debut album. One of the highlights of this album has to be their jazzy rendition of The Beatles’ “Can’t Buy Me Love.” These two musicians are positively bursting with talent and I have no doubt they will make it far in the contemporary folk music scene. This entry was posted in Travel in Scotland, Uncategorized and tagged Blue Rose Code, Dosca, Hector Bizerk, Little Fire, Music, Owl John, Paul McGranaghan, Robin Adams, Roddy Hart and the Lonesome Fire, Scottish Music, The Jellyman's Daughter, The Twilight Sad, Three Blind Wolves, Vukovi, Wire & Wool, Young Fathers on August 18, 2015 by Theresa Schilling.